I know I don’t post updates in Between Life and Games’ travel section often, but when I do, the content is well worth it. Same goes for today’s interview with a fascinating individual named Jacob Laukaitis, the man who walked 100 km around Tokyo in just 3 days in late October 2015. 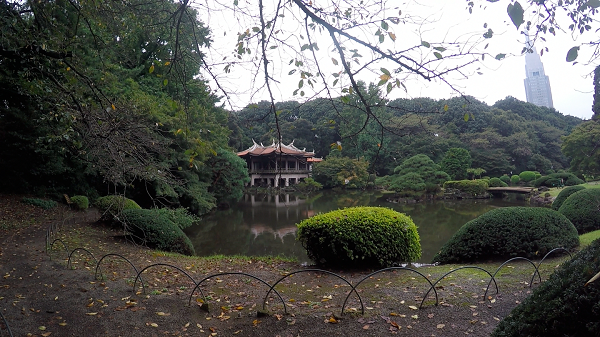 You know Tokyo is one of my favourite cities in the world, so such a walk sounded like a very fascinating endeavour to me, and I had to know a bit more about it. Naturally, it’s the main subject of our interview. Before you start reading, feel free to look at the short and sweet video he has compiled of his adventure. Vlado: Please introduce yourself to our readers. Jacob: I’m Jacob Laukaitis, a digital nomad – a person who can work anywhere if a computer and Wi-Fi connection is available. Currently I spend most of my time on the company I co-founded, ChameleonJohn.com. This allows me to travel across the world 9 to 10 months a year which, in the last 2 years, allowed me to visit over 30 different countries. Vlado: What gave you the idea of the 100 km Tokyo walk, and why did you do it? Jacob: I simply love Tokyo and I love walking! I just thought – why not make my 4th travel video about those things? Vlado: What route did you go through, and how did you decide on it? 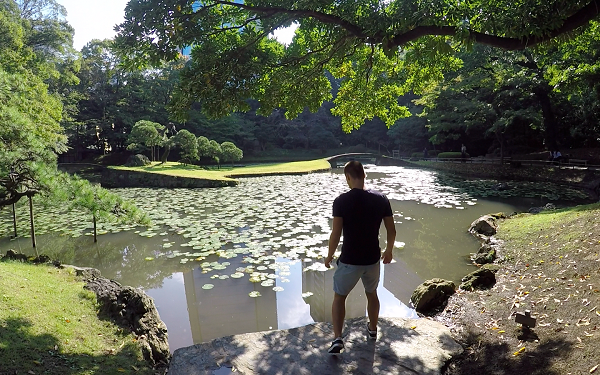 Jacob: Every single day I took different routes to explore different parts of Tokyo. Even though I would more or less have my “daily destination”, I would get lost time and time again and explore completely random places I would find interesting. I didn’t have a map, nor data on my phone, so the whole walk was quite random and spontaneous. Vlado: What kind of equipment and supplies did you use? Jacob: I used a tripod camera, which was quite heavy and inconvenient to carry around, keeping in mind the distance walked. Other than that, I always try to be as minimalist as I can when it comes to taking stuff with me. So I didn’t have many things, except for my clothes, a pair of uncomfortable slippers and some water. Vlado: How difficult was it, did you have doubts at any time that you could successfully achieve your goal? Jacob: Well, it was quite physically challenging to walk that much (especially not having proper footwear), but honestly I had a blast during each moment of my trip (which you can see in the video). It was really fun. Vlado: Please name the three most interesting things you encountered on the way. Jacob: 1) The only available trash-bins are located in mini-marts. Vlado: What kind of people did you meet? Anyone that will be hard to forget? 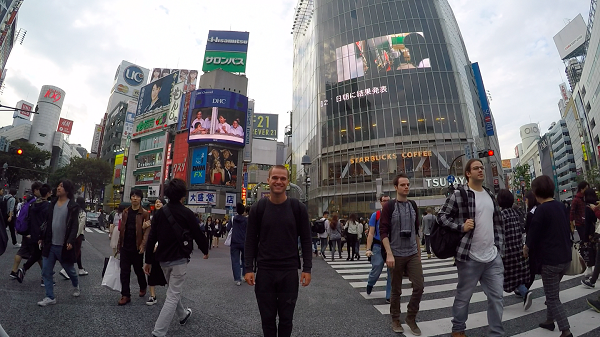 Jacob: Nothing super extraordinary to say here, but in general people of Tokyo have left a great impression on me. They are very friendly and helpful, which is quite foreign to many other metropolitan cities. Vlado: What is your favourite thing about Tokyo? Jacob: That it doesn’t feel like a huge city at all! You can just go to a park and feel like you’re somewhere in the countryside, not in a busy city. Vlado: Have you been elsewhere in Japan, and what did you like best? Jacob: Yes, I spent 2 months traveling all around Japan, especially the Southern Part. I loved trekking to Mt. 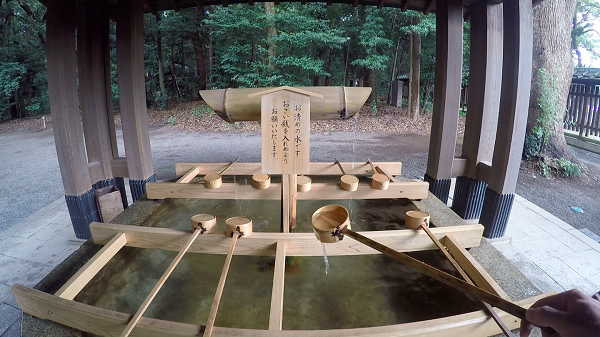 Fuji (during off-season), exploring temples in Kyoto, admiring art in Naoshima (the art island of Japan), spending a weekend trekking in the Nikko area and so much more. 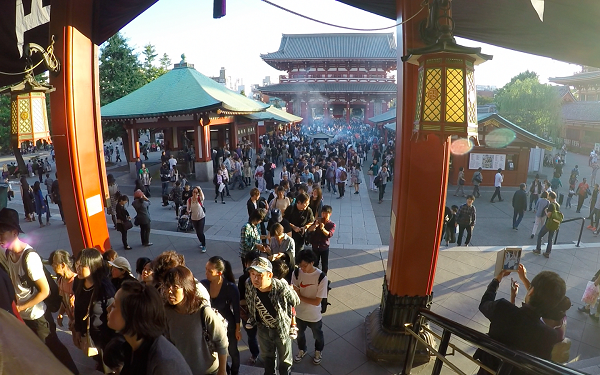 I’m going to do many more videos from Japan in the nearest future about most of the things I’ve done during my time there. Vlado: You travel a lot. Are you planning to do such 100 km walks in other big cities around the world, as well? Jacob: Absolutely! I’m currently planning on walking the Santiago De Compostela route all across Spain. It’s gonna be 1,000 kilometers in 30 days. Can’t wait for that!